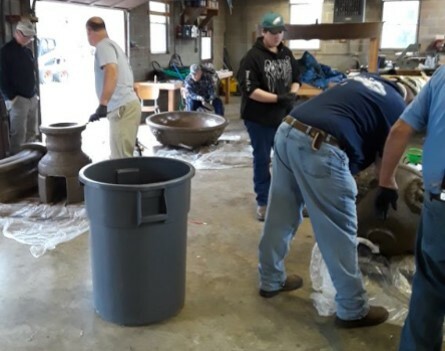 Members of the New Braunfels Lions Club and some of their family members attended the annual workday at the Texas Lions Camp and combined their efforts to tackle a project assigned by the camp’s staff. 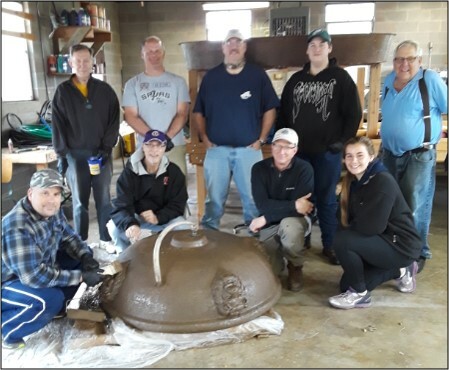 This year’s project involved the cleanup and staining of a large water fountain that will grace the camp’s grounds this summer. 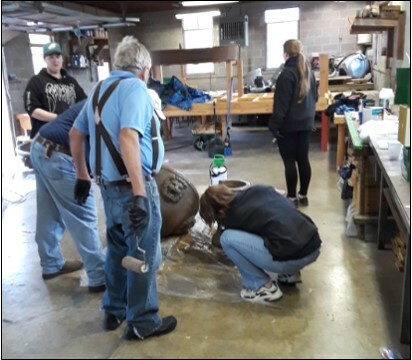 Along with our club’s work team, clubs from all over Texas sent groups to help tackle the large number of construction, repair, and cleanup projects necessary to allow the camp to accommodate the large group of campers that will be attending this year’s sessions. Not only has our club participated in work projects for the camp every year, but we are also one of the few clubs that has made its 100% contribution level to the camp every year.